Headline: Under Armour Opens UA Lighthouse Manufacturing And Design Leadership Center In The Brand’s Hometown Of Baltimore. State-of-the-art Facility in the USA to Serve as the Epicenter for Product and Process Innovation. BALTIMORE, June 28, 2016 /PRNewswire/ — Today, Under Armour (NYSE: UA, UA.C), along with Maryland Representatives, Baltimore City officials, and community leaders, opened the door to the UA Lighthouse, a new center for manufacturing and design innovation. The 35,000 square-foot facility is located in South Baltimore’s City Garage and will be the proving grounds for developing new, cutting-edge product and efficient manufacturing processes. The UA Lighthouse will be the guiding light for developing best practices and efficient methods for how all Under Armour product is made. 3dMDbody18.t System capturing temporal-3D dense surface motion at 7 3D frames a second. 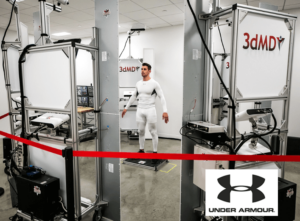 3D Design and Body Scanning: Allows for the design of custom footwear and apparel while reducing waste in the development process and providing better service for Under Armour’s growing roster of athletes. 3D Printing and Rapid Prototyping: Where ideas are turned into tangible products, this hard good model shop has a state-of-the art 5-axis simultaneous machining center as well as a suite of fabrication tools. Apparel and Footwear Prototyping: Where designers and developers come to ideate, test, and refine products and processes with concepts brought to life in new ways beyond the traditional cut-and-make methods. Apparel and Footwear Pilot Lines: Proving ground for process and evaluating how concepts will perform in a full-scale production environment. 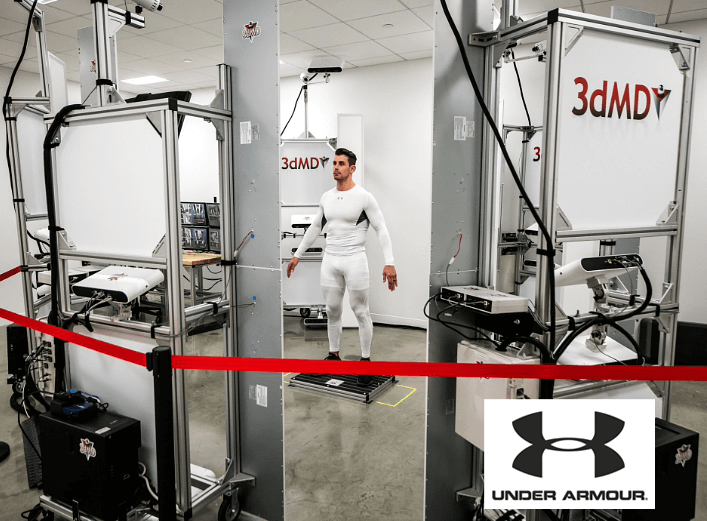 Under Armour has partnered with industry-leading organizations including The University of Maryland’s Engineering Department, The Dow Chemical Company, Huntsman, Lectra, Bemis, Epson, Desma, and 3dMD, among others. These partners and others will team up with Under Armour to drive innovation in product and process technology. This innovation will also serve as a foundation for Under Armour’s local-for-local vision, where product is to be designed for and made in local markets around the world. UA Lighthouse will be the hub where new product and process technology is developed and then transferred to factory partners to scale. For more information on UA Lighthouse, please visit http://www.citygarage.vc/ua-lighthouse/. Under Armour (NYSE: UA, UA.C), the originator of performance footwear, apparel and equipment, revolutionized how athletes across the world dress. Designed to make all athletes better, the brand’s innovative products are sold worldwide to athletes at all levels. The Under Armour Connected Fitness™ platform powers the world’s largest digital health and fitness community through a suite of applications: UA Record, MapMyFitness, Endomondo and MyFitnessPal. The Under Armour global headquarters is in Baltimore, Maryland. For further information, please visit the Company’s website at www.uabiz.com.